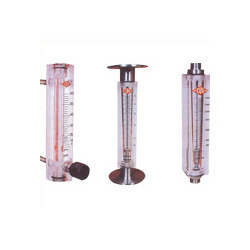 Providing you the best range of acrylic body low flow rotameter, threaded type acrylic body rotameter, acrylic body rotameter flange type, gas rotameter, acrylic low flow rotameter and plastic rotameter with effective & timely delivery. We are counted as the foremost manufacturer and supplier of optimum grade Acrylic Body Low Flow Rotameter. Used for measuring the volumetric flow of liquids and gases, made up by utilizing top quality of basic material under the supervision of proficient team of workers, these rota meters are manufactured at our highly developed production house. In order to meet the wide desires of customers, these rota meters are provided in diverse stipulation. We deliver these rota meters in diverse technical and customized options at pocket friendly rates in bulk quantities. We are specialized in manufacturing and supplying a wide collection of Acrylic Body Rotameter - Threaded Type. Widely used to measure flow rate of liquids and gases under critical conditions, this rota meter is manufactured at our ultra modern manufacturing unit by consuming top class base material in line with market norms to guarantee flawlessness at customer’s end. 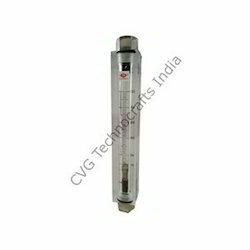 The offered rota meter is accessible in varied models as per the application necessities of the customers. Along with that, we also modify this flow meter as per information laid down by our customers to fulfill the customer’s requirements. For the diverse requirements of our clients, we are engaged in manufacturing and supplying an exclusive array of Acrylic Body Rotameter Flange Type. Used for inline installation with flanged or screwed connection with several options of materials for wetted parts, we offer this rota meter in various stipulation according to the customer’s requirements. This rota meter is processed by utilizing the finest quality material and updated technology. Our team of highly trained quality analyst examines this rota meter on provisions of quality to eradicate all flaws. Our offered Rota meter range is delivered to the clients within given time at reasonable rates. 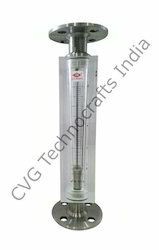 we are leading manufacturer of gas rotameter. \The mentioned prices are approx price & it may vary as per your requirement because it requires customization in product. We are leading manufacturer of Acrylic Low Flow Rotameter. 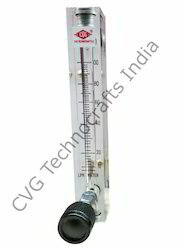 We are leading manufacturer of Plastic Rotameter. The mentioned prices are approx price & it may vary as per your requirement because it requires customization in products. 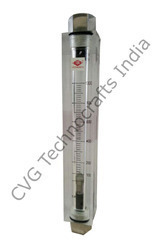 We are successfully ranked as the top manufacturer and supplier of Acrylic Body Rotameter. It is mainly used for water / salt water, air, nitrogen, hydrogen and natural gas. The acrylic body integral machined cut in acrylic body from imported transparent acrylic blocks sheets. The offered rota meter is accessible in different models, sizes and stipulation to meet the various requirements of the customers. In addition to this, our professionals are capable to modified this rota meter within the stipulation time frame and at affordable rates. we are leading manufacturer of water rotameter.